Broken links in your website maybe damage your rankings in Google, Yahoo, Bing, etc. and also it affect user experience by redirecting visitors to unwanted error pages. 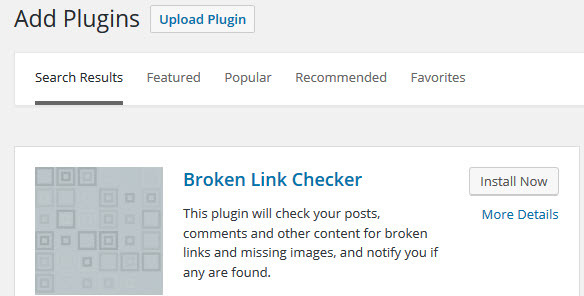 In wordpress you can find and monitor your broken links via Broken Link Checker wordpress plugin by Vladimir Prelovac. Using this plugin you can monitor your links and detect links that don’t work, missing images and redirects. After that you can edit or unlink the link. Type Broken Link Checker in the search field and press the enter key. 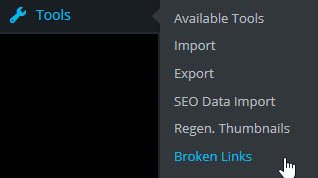 Click the Install Now button in Broken Link Checker. 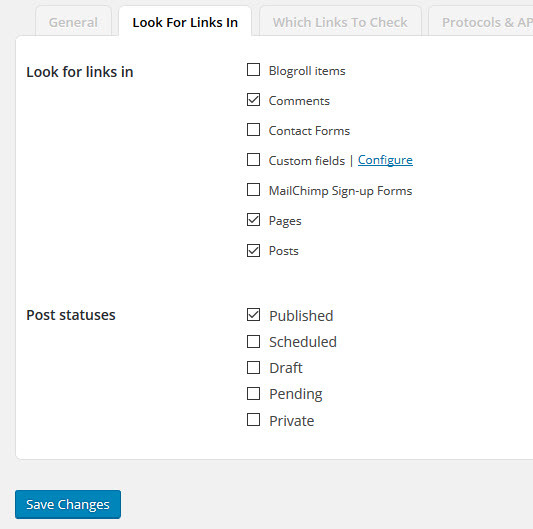 Go to Settings-> Link Checker in the dashboard to configure Broken link checker plugin. In the main page you will find general settings option. Here you can configure link checking time, email notification of new broken link and custon formatting of broken link. 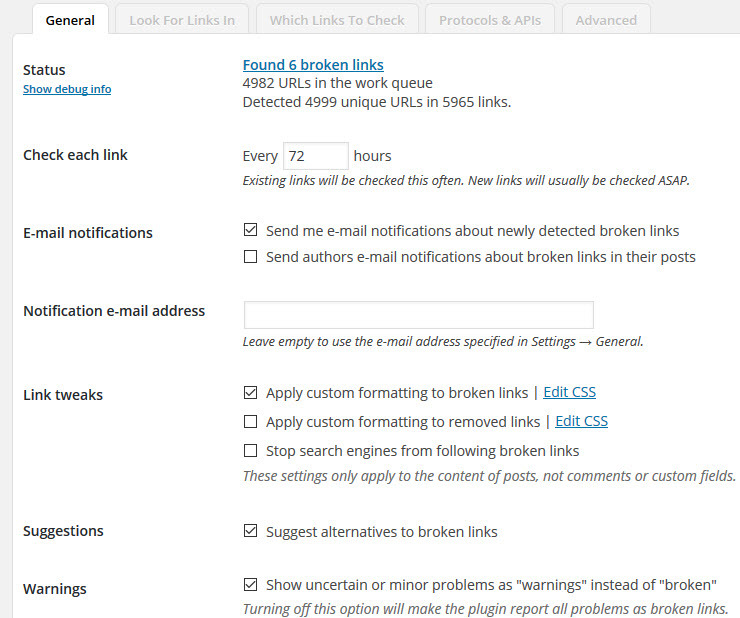 In the advanced tab you can configure the link monitoring settings, Timeout, server load limt and link actions. There ia also an option to look for links in Posts,Pages,comments or in blogroll items. 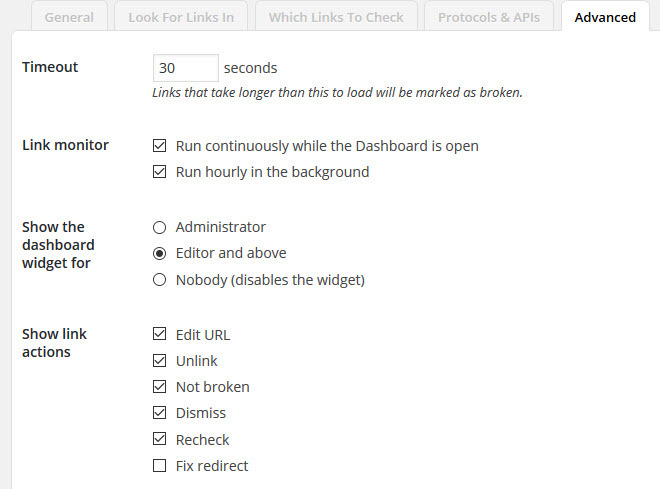 To view the broken links go to Tools-> broken Links your wordpress dashboard.